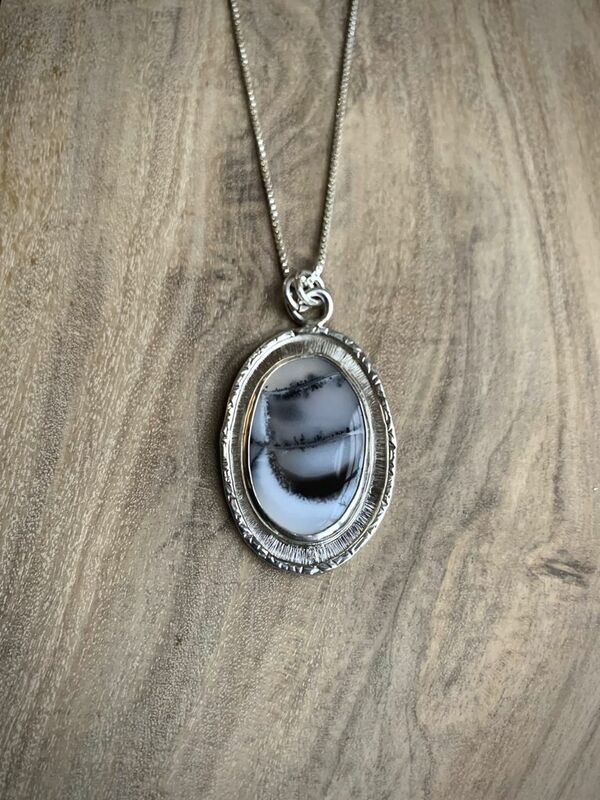 Oval Dendritic Agate set in Sterling Silver on a square link chain. 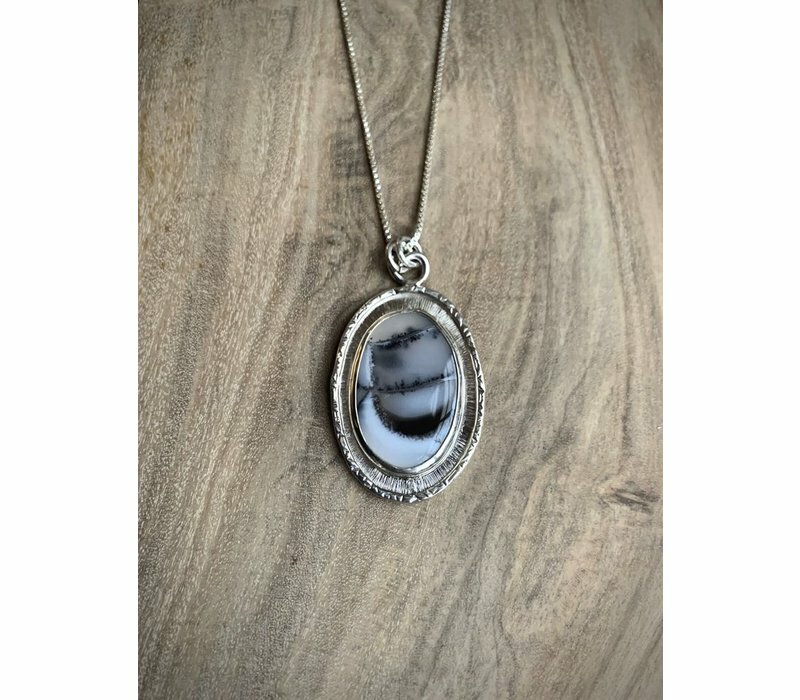 This stone is set in a hand stamped frame. The pendant is approximately 2 inches long by 1 1/4 inches wide. It is on an approximately 17 inch box chain. This is a one of a kind item.